Hello Windows 8 Users, You are here means, You have an watermark on your right corner of windows 8 desktop, So let we see How to remove Windows 8 pro build 9200 watermark on windows 8 desktop . 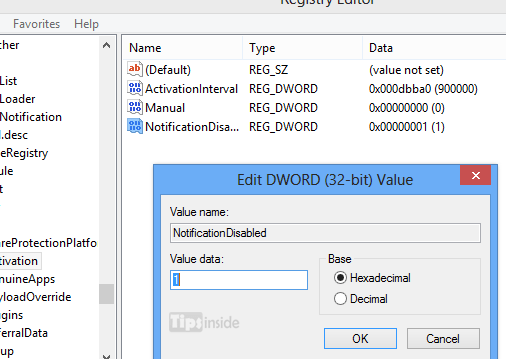 Open Registry with Administrator Privilege ( Use run command and type regedit ). Change the key: “NotificationDisabled” from 0 (default) to 1. Just check the tick in Remove all watermarks. WARNING!!! Method one is disastrous. System enters into an infinite restart loop. Windows identifies that there is a change in registry and pops up a blue screen with REGISTRY_CHANGED error. 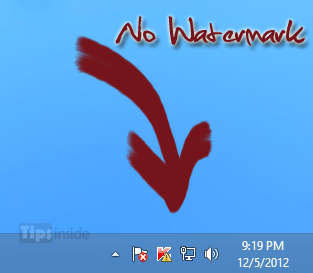 this tips couldn’t use, doesn’t work “GO TO PC SETTING” with water mark. 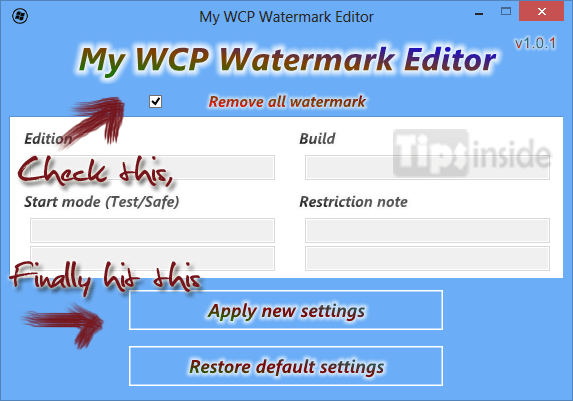 thanks download WCP Watermark Editor method works perfectly ….before that i tried so much methods as show in youtube and pages all r useless…… and finally follow ur second method download and install it works good…….. Following Method 1 instructions, got in, found it already set to 1 . . . have had this stupid issue for months, apparently somebody else had posted this, so obviously it doesn’t work, they’re just copying this from each other. And no, if your method 1 doesn’t work, I am SO NOT using your happy little download. Don’t need any viruses or trojans, thank you ever so . . .